Spanish reports are suggesting that Lionel Messi has been slapped with a suspended 21-month prison sentence after being found guilty of tax fraud. The Argentina and Barcelona footballer, along with his father Jorge Messi, was found guilty of three counts of tax fraud in Wednesday's ruling in Spain. 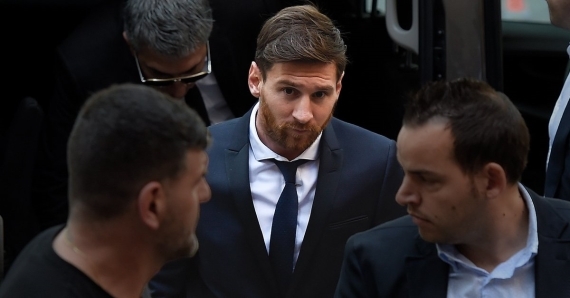 During the trial, Messi claimed he knew little about the mismanagement of his financial affairs as he was too focused on his responsibilities as a footballer. It is believed that it is highly unlikely that the two will actually spend any time behind bars, though. However, they will be expected to pay millions of euros in fines for using tax havens in Belize and Uruguay to conceal earnings from image rights.